Projecting professionalism with a West Coast feel. 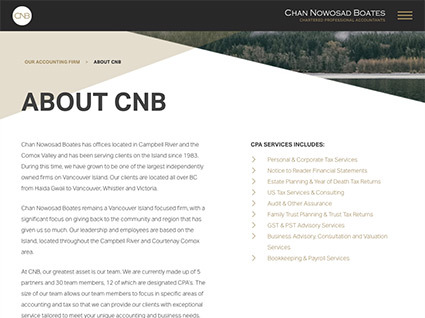 Chan Nowosad Boates put forward a Request for Proposal (RFP) for website design and development, as their website at the time was extremely dated and did not accurately communicate their new brand and company culture. 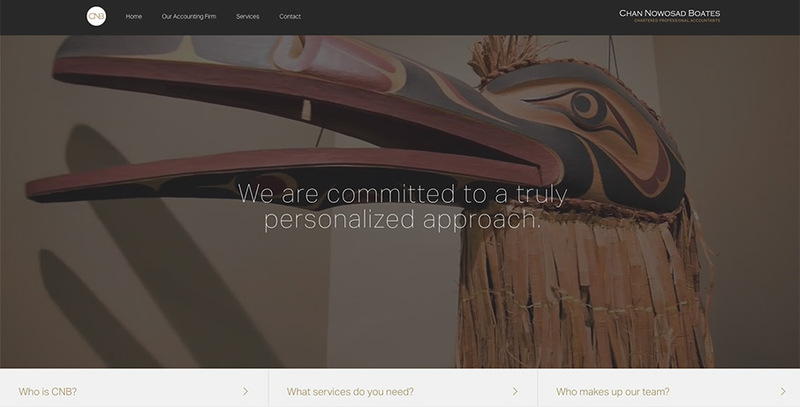 Our team will get back to you ASAP about what budget a project like Chan Nowosad Boates requires.